Amidst the sunshine and palm trees of Beverly Hills are deep shadows, some of which have lingered for a very long time. Where North Rodeo Drive intersects with Sunset Boulevard is the garish confection known as the Beverly Hills Hotel. Opened in 1912, it has hosted just about every Hollywood celebrity since the silent film era; the only reason more scandals and tragedies associated with the Pink Palace aren’t better known is the cone of silence maintained by management, an institutionalised gossip vacuum which has snapped a lid tighter than Tupperware down on its influential and highly-valued guests. Guided tours of the immediate area point out the public park just across the road where pop star George Michael indiscreetly answered a very different call of nature in 1998 into the arms of a waiting policeman; the house of Linden Drive where, in 1947, gangster Bugsy Siegel was gunned down in the lounge room of his girlfriend’s home; the cosy suburban cottage where another hard man, mob enforcer Johnny Stompanato (who, coincidentally, worked for Mickey Cohen, the man who took over Siegel’s operations) was stabbed to death by fourteen-year-old Cheryl Crane, daughter of actress Lana Turner in 1958. And within walking distance from all of these is a location on North Rodeo, now much changed, where, on a chilly evening a few weeks before Christmas 1944, a beautiful and talented thirty-six-year-old actress decided she’d had enough. Dressed in blue silk pajamas, she retired to bed with a nightcap of 80 Seconals and a glass of brandy, and was ushered into that strange, dark and enduring kind of immortality that only Hollywood can generate. 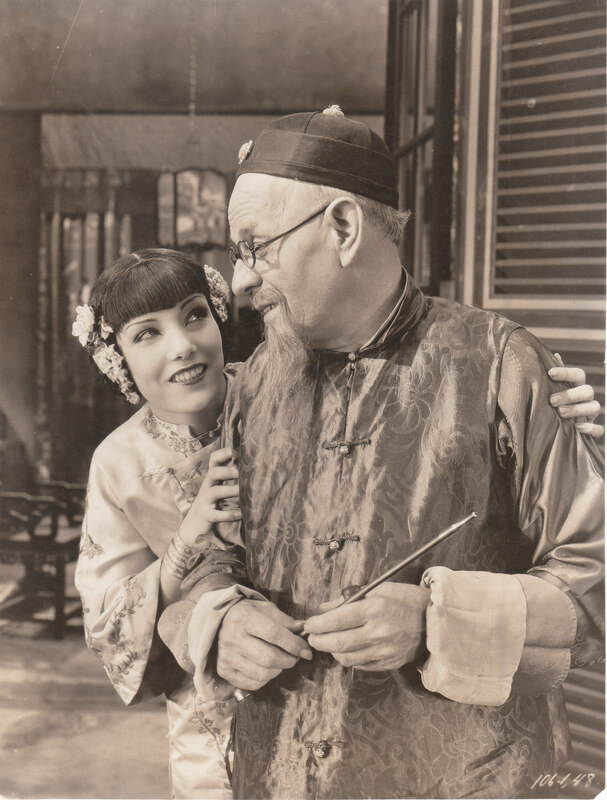 I came to know Lupe Velez not through her movies, many of which I’ve since had the privilege to discover, but from a collection of vintage publicity photos. I’ve been collecting such items since the mid-1970s but it’s not been until on-line auction sites like eBay opened up the market that the truly choice stuff has become readily available, especially to someone as far removed as Australia. On visits to Los Angeles, my first stop would generally be my favourite showbiz bookstore, Larry Edmunds (founded by Larry himself in 1938; in true Hollywood underbelly fashion, he exited life with his head in a gas oven just three years later. The store, however, continued under his name). On Hollywood Boulevard, a few blocks from the corner of Vine, it holds somewhere around 500,000 photos, 6,000 movie posters and 20,000 movie and theatre books. It’s in a part of Hollywood that’s ground zero for any serious movie fan, with a heritage that stretches back to the very earliest days of orange groves and nitrate stock. Within a few minutes’ walk is the restored 1923 Egyptian Theatre, now operated by the American Cinematheque as one of its LA revival houses (the other being the Aero in Santa Monica); the Musso & Frank Grill, opened in 1919, where such writers as Raymond Chandler and F. Scott Fitzgerald were regulars and where I dined on one visit with cult 70s director, Monte Hellman; Boardner’s, a classic 1940 cocktail bar that has changed little since Robert Mitchum and Ed Wood (possibly wearing a fetching angora sweater and pearls; no jaunty scarf) would knock back shots (it’s so unashamedly dowdy and original, it was used in LA Confidential without very little set dressing needed); and Micelli’s, dating back to 1949 with the best spaghetti and meatballs around. Larry Edmunds was always good for movie stills, even if they were modern restrikes. Later, on eBay, I would uncover a couple of reputable sellers of wonderful vintage photos at ridiculously good prices (see my earlier blog – https://davidlatta.org/2013/09/19/the-collectors-life-lester-glassner-and-the-nobility-of-the-continuum/ ). Hence, like Pete Seeger, we turn, turn, return to Lupe Velez. As I mentioned, I didn’t know a lot about her when I bought these photos but they were so beautiful and the prices so very right I couldn’t resist. What I did know was from recent rescreenings of her Mexican Spitfire series on late-night television. But I’m getting ahead of myself. María Guadalupe Villalobos Vélez was born in San Luis Potosi, in north-central Mexico, in 1908. She was dancer who came to the United States to further a show business career. She was young, beautiful and extremely exotic, qualities that worked in her favour when she was asked to do a screen test for MGM. Although that didn’t pan out, she was hired by Hal Roach for a Laurel & Hardy comedy, Sailor Beware (1927). 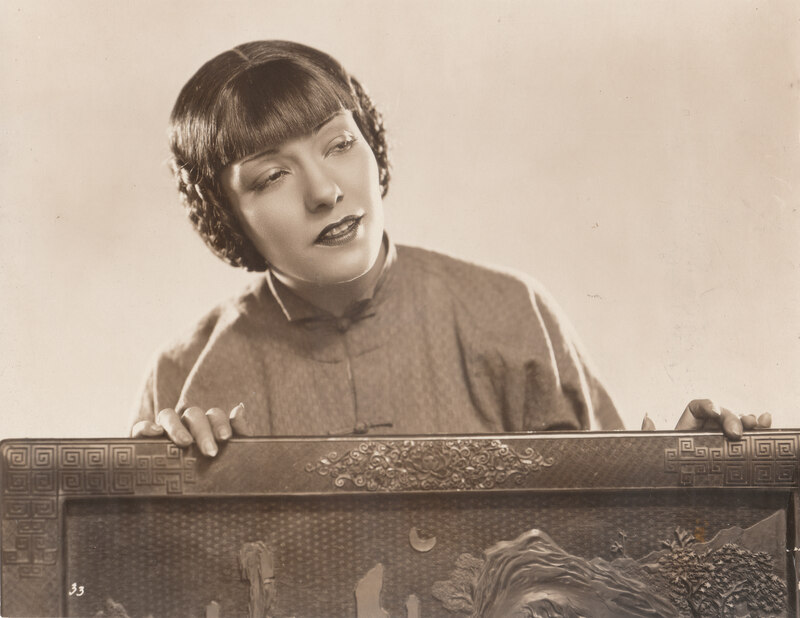 With a vivacious and comedically combative nature, Lupe’s star rose quickly and by the time silent film was being supplanted by sound, she was a leading lady. In the pre-Code years, she became even more popular. 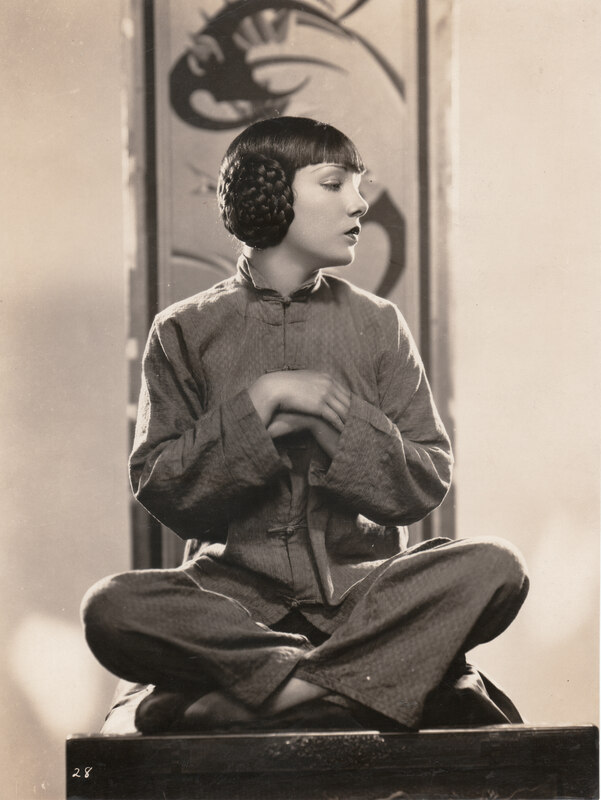 This was despite Hollywood producers not displaying an overly evolved vision of her possibilities; her Latin heritage and accent had her playing largely ethnic roles although on occasion they veered towards the ridiculous (Russian, American Indian, even Asian; in East Is West (1930), she played Chinese as did that other well-known ethnic actor, Edward G. Robertson). While she handled drama well, and she could sing and dance with the best of them, she really shone in comedy, gleefully overplaying her Mexican heritage into something of a caricature. Fiery and argumentative with a motor mouth capable of paralysingly-funny malapropisms (“You’ve been trifling with my afflictions,” she angrily informs one unsuitable suitor), the peak of her comedy was undoubtedly the Mexican Spitfire series produced by RKO in the 1940s. From the early efforts, The Girl From Mexico (1939) and its sequel, The Mexican Spitfire (1940), the series encompassed eight movies and, although largely featuring the same plots, are great fun. It’s interesting to compare Lupe with Sofia Vergara of television’s Modern Family and trace the lineage of kooky, Spanglish-challenged south-of-the-border media portrayals through the decades, from Lupe via Carmen Miranda and Charro to the present day. Some things, it seems, never change. It’s difficult to know just how close Lupe’s on-screen character was to her own but some clues lie in her often stormy relationships. She was romantically linked with many men including silent movie star John Gilbert. She married Johnny Weissmuller, the Olympic gold medal swimming champion and on-screen Tarzan (who, legend has it, a Hollywood executive discovered by the swimming pool of the Beverly Hills Hotel) in 1933. Lupe and Johnny were a volatile combination. They divorced in 1939. However, Lupe’s great love was Gary Cooper, who she met on the set of the 1929 silent movie, The Wolf Song. Again, it was a relationship that proved rocky, prone to violent arguments and physical confrontations; when Cooper had an affair with Marlene Dietrich on the set of Morocco (1930), Lupe famously threatened murder and most probably would have if the mood had seriously taken her. Despite her best intentions, it seemed Lupe’s temper as much as her temperament drove any chance of love and happiness from her. She made another bad choice with married Austrian actor, Harald Maresch. In 1944, she found herself pregnant and alone and in December took the fatal overdose that also claimed the life of her unborn child. It’s barely worth mentioning Kenneth Anger’s Hollywood Babylon and his treatment of this sad episode but it’s there if anyone cares to look. Whether she meant to end it all, had had enough and wanted the pain to stop or if it was a cry for help that went unanswered, we’ll never know. There are some who suggest that, today, Lupe would be diagnosed bipolar. What is possible is that Lupe Velez, in modern times largely forgotten (aside from Kenneth Anger’s sordid Grand Guignol spin on her passing), is well on the way to being rediscovered. 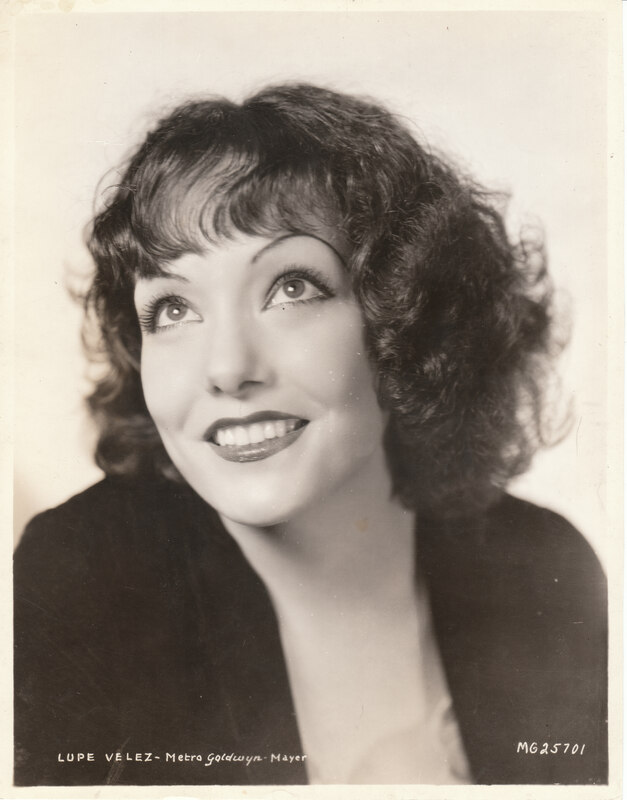 Australian author Michelle Vogel’s Lupe Velez: The Life and Films of Hollywood’s “Mexican Spitfire” was published in 2012. The film rights have been optioned and a biopic is planned, produced by and starring Ana de la Reguera (Cowboys and Aliens). 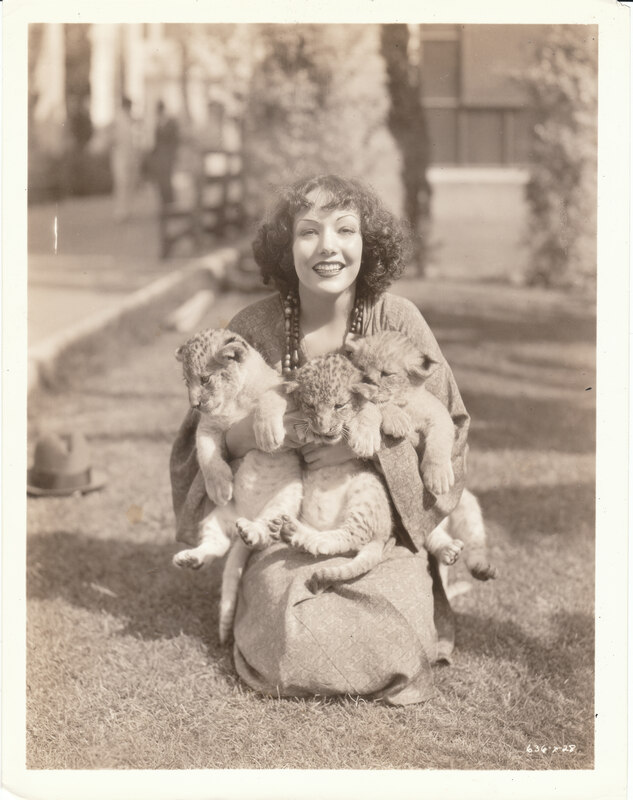 In the meantime, enjoy these wonderful old photos of Lupe and seek out her films. I’m sure you’ll agree she was remarkable and certainly didn’t deserve what happened to her – during her life and after.